Today: Gena shares some of her favorite tips for mastering the art of vegan soups and stews. And a recipe for yam soup with a special ingredient. My first few years as a vegan home cook were characterized by some incredible hits and some spectacular misses. These included pot after pot of burnt brown rice, faux sausage that was harder than steel, and innumerable batches of soggy, tasteless tofu. Amid all the din of recipes going wrong, there was one type of dish that never seemed to fail me: soup. Soups and stews were familiar, easy to prepare, and oh-so-forgiving when I happened to make a mistake. Because many of the soups and stews I loved were already vegan or vegetarian, it wasn’t hard to modify them to suit my new way of eating. And because they were often so rich in fiber and nutrients (from lentils, beans, and veggies), they filled me up beautifully, never giving me a chance to miss the animal products I had left behind. I’ve become a more competent vegan chef, but my adoration of soups and stews hasn’t changed. To this day, they’re among my favorite dinner options. As a busy student, I rely on them as make-ahead meals, and I relish the fact that I can freeze them and have hearty food at the ready in a moment’s notice. • Two words: mushroom stock. 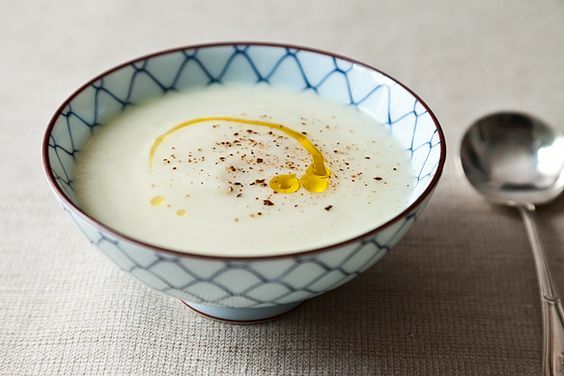 It elevates your average soup with complex and unmistakable flavor. 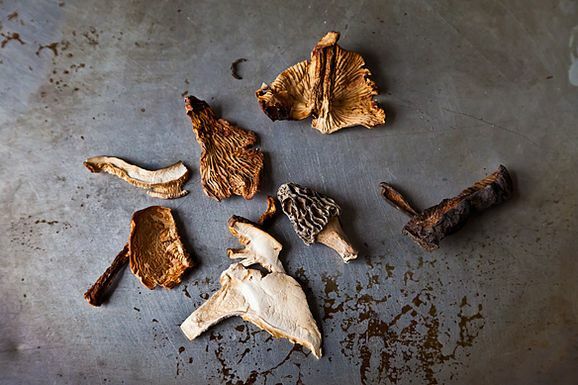 To prepare it, simmer an ounce of dried shitake or porcini mushrooms and about a half pound of mushrooms or mushroom stems with vegetables of your choosing (onion, carrot), sea salt, and herbs (thyme, oregano, rosemary). Strain through a cheesecloth and either use right away or freeze for later. • Creamy soups are not out of the question. Homemade cashew cream will take vegan soups far: simply soak a cup of cashews overnight, drain them, and then blend them in a food processor with a dash of salt, a teaspoon of lemon juice, and enough water to create the texture of heavy cream. Stir the mixture into soups whenever cream is called for. Alternatively, you can use coconut milk. • Hold the sugar. Store-bought non-dairy milks often have added sugar that can tamper with the flavor of your soup, so keep an eye out and make sure to buy unsweetened varieties. • Spice, spice, and more spice. 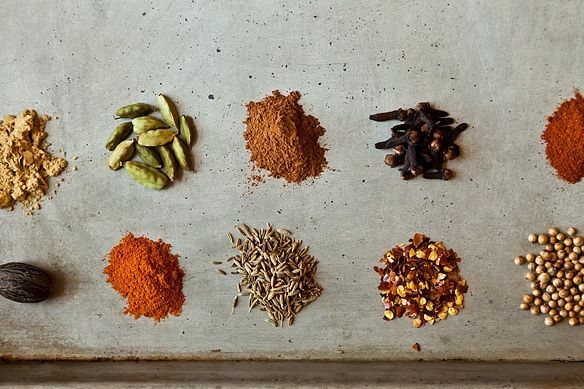 Using a variety of distinctive spices, from curries and cumin to thyme and sage, will create flavor without the addition of too much salt. • Travel. So many global cuisines feature soups and stews prominently; branch out, and experiment with recipes from different continents. My favorites are Indian curries, soba noodle bowls, hearty vegan borscht with cashew cream, and even a vegan version of avgolemono, the Greek Easter soup I remember fondly from childhood! Speaking of travel, the following winter stew transports us to West Africa, where both yams and peanuts are major indigenous crops. To call this “yam stew” is a little disingenuous, as most American readers will be using sweet potato in the recipe, rather than yam itself. The yams native to Africa, Asia, Latin America, and the Caribbean are tubers, rather than root vegetables, and they are more starchy and dry than sweet and moist. That said, the two vegetables do share similarities in appearance and taste, and they can be easily substituted for each other. 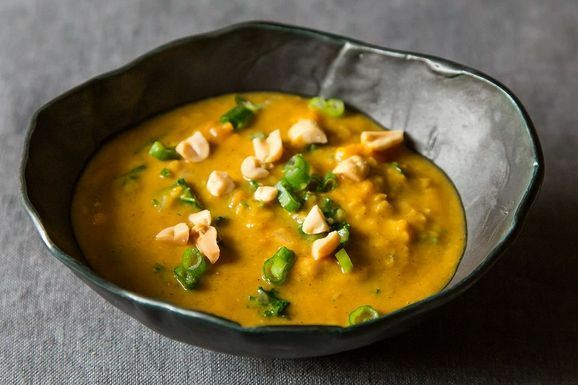 In this recipe, peanuts, red lentils, and yams (or sweet potatoes) are simmered with the flavorful spices so common in West African cuisine: cumin, cinnamon, and ginger. What really makes the dish sing, though, is the addition of sweet tomatoes and peanut butter, which together create an extraordinarily rich and fragrant broth. I’d never heard of adding peanut butter to a soup before I made this dish, but the results are magical. Though not a traditional addition to the stew, I like to stir in kale at the end for extra nutrient density and texture, and serve the dish with a sprinkle of roasted peanuts and chopped green onions. Along with some basmati rice -- or even on its own, with a simple salad -- this is a nutritious and hearty meal for winter months! Hail to the mushroom stock! I live in Paris, where (store bought) prepared stock is nonexistent. Luckily, I keep a stash of dried 'shrooms on hand so I made a batch before started the stew and am so glad I did. What a difference it made… The added depth it gave the soup was phenomenal. So simple, too. Thanks for the tip! This vegan stew is so delish and sounds like a Filipino peanut stew I often make, called 'kare-kare'. Thanks for sharing this recipe! All my favorite tastes are in this soup, plus the cancer-fighting, anti-inflammatory spices. As a kid, a family fave was toasted Orowheat Wheat Berry bread with peanut butter and delicious california tomatos. This will definitely be on the menu this week (especially with my carnivorous DH traveling). I also have to say how extremely happy I am that vegan delights are given a place here at Food52. This looks delicious! 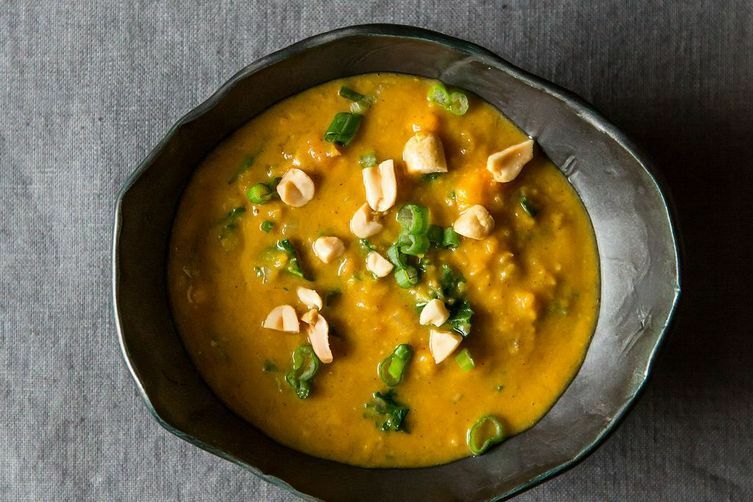 I love peanut butter in anything - it sounds like the perfect finishing touch to this soup. I want this right now. Looks amazing! It is so good! We devoured it instantly the day we made it for the photo shoot. I am so delighted that you guys like the recipe!